Our home state of Florida is highly vulnerable to hurricanes and Irma was a scary reminder of why we need to be prepared for these types of storms. The damage from high force winds and flooding can be life-shattering. Living in Florida, it is vital to be prepared for a hurricane. Being prepared in advance will make things much easier for you before, during and after the storm. Therefore, we recommend all our customers, whether you are based in Lakeland, Winter Haven or the surrounding areas, follow these five tips to be prepared for a hurricane. After a hurricane, your home may flood, which easily can ruin papers and important documents. This combination of circumstances will make it difficult for you to access funds or file insurance claims. To be prepared for a hurricane we recommend making a spreadsheet of all your account numbers, banking accounts, and insurance policies. Also, be sure to make digital copies of any birth certificates, Social Security cards, and other important documents. Don’t forget to have a digital document with the contact information of family members, close friends, and nearby neighbors, as you may lose cell service and have difficulty charging your phone following a storm. Get your home ready for a hurricane before a storm hits or evacuating. Keep large tarps, plywood and duck tape in storage for emergencies. Buy and set aside enough non-perishable food and bottled water to sustain your entire family for at least two weeks. Don’t forget to have food for your pets too! A gas-powered chainsaw is also handy to have for clearing debris after a storm. Moreover, it can be used it to clear fallen trees in roadways that are blocking important evacuation routes. A generator, flashlights, and lanterns will also be lifesavers in the event that you lose power. When buying an emergency generator, get one large enough to at least run your refrigerator. Remember not to run the generator indoors—the carbon monoxide fumes emitted by many generators can be deadly! Putting roadmaps in each of your vehicles, in case service to your GPS is interrupted, is a great way to be prepared for a hurricane. 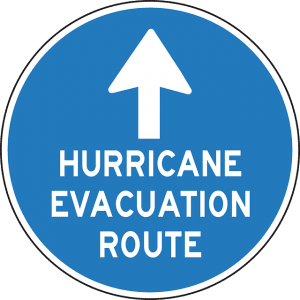 Determine multiple evacuation routes, as the direction of the storm will dictate your path to safety. Also, keep a “just in case” bag in the trunk of your vehicles that contains a few essentials so you can evacuate quickly if needed. Adequate insurance coverage is crucial for people living in areas that are prone to hurricanes. Make sure to go over your homeowners and automobile insurance policies in order to be sure you are prepared for a hurricane, should it damage your property. Consult your insurance agent to see about adding flood insurance – flooding is not covered under a general homeowners insurance policy. Also, check to see if your policy covers rebuilding costs that account for the newest code upgrades. Inspect your roof to make sure it does not have any compromised areas before storm season begins. Waiting until the last minute can add unneeded stress when you have other things to do in order to be prepared for a hurricane. Since this year’s season is already underway, try to have your roof inspected as soon as possible. 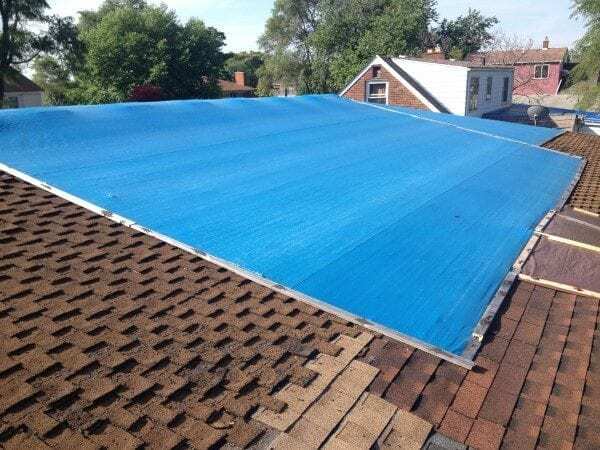 Existing damage to a roof may cause new leaks and water intrusion to occur at a faster rate. These leaks can do serious damage to the interior of a home. Moreover, mold and standing water can jeopardize the health of your family and the resulting remediation services can be quite costly. It is best to keep the phone number of a professional roofing company, such as R.I.G. Roofing (863-294-4477), saved in your phone and in your digital contacts document. After a hurricane, roofing services are in high demand and are scheduled on a first come, first served basis. Copy your important records to a flash drive. Check your roof for existing damage. Need to schedule a roof inspection? Call the office of R.I.G. Construction and Roofing at (863) 294-4477 and speak with one of our roofing professionals. R.I.G. Construction and Roofing is happy to serve customers in Lakeland, Winter Haven, and all of Polk County, Florida. This entry was posted in Blog, Tips and tagged Check roof hurricane, Evacuation plan hurricane, how to prepare for a hurricane RIG, hurricane roof, hurricane tips, insurance hurricane, prepare home hurricane, Records hurricane, RIG Construction and Roofing, RIG Florida, RIG Lakeland, RIG roofing, RIG Winter Haven.